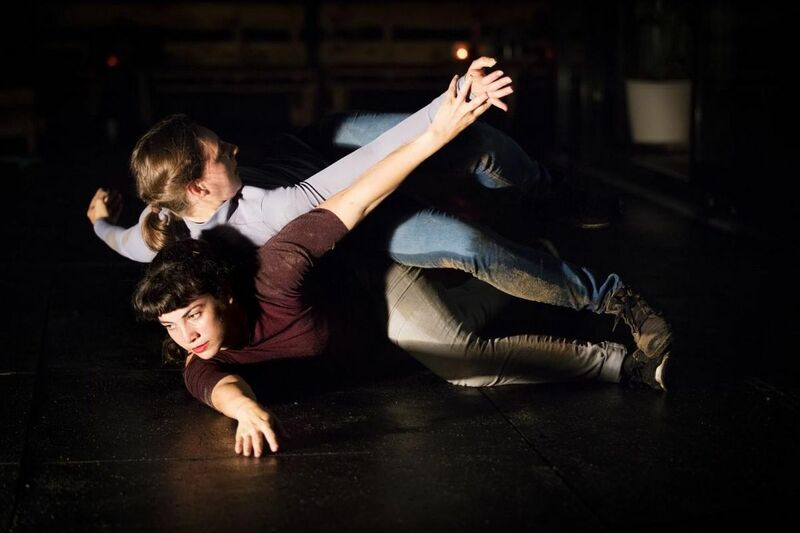 Experienced street theater makers, theatrical installation-builders, young dancers and full-grown circus theater: Spoffin selected 18 groups and artists for Spoffin OFF, the showcase of the international festival for professional outdoor and location theater in Amersfoort. Spoffin received around 220 applications from 23 countries for Spoffin OFF this year. ”This shows Spoffin is known to artists all over Europe and far beyond. Artists hear from each other about Spoffin, that it is a beautiful festival with a nice audience where they receive artists well,” artistic director Alfred Konijnenbelt says. "The fact that we invite many programmers from other festivals, around 50, also is important to them." Remarkably is the number of applications of well known, international artists with productions that are that are totally different from their previous work," Konijnenbelt says. "For example Avanti Display (GB), who exists for more than 25 years and performs The Spurting Man with great success all over the world, as well as at Festival Etcetera in 1999. Now they build a high tower of metal buckets with the help of the audience. And of course something spectacular happens. Maboul Distorsion (FR) stands for old-fashioned craftsmanship in street theater and brought in 2013 a hilarious show about two chefs at Spoffin. Now they are letting out red males and females from every nook and cranny to invade the city." A unique performance comes from Spain, from El Fedito. "This artist builds a beautiful theatrical installation in which numerous second-hand objects balance. Something different is Agro The Clown from Italy, who challenges motorists in a humorous way to wash their holy cow, of course in the middle of the street with hundreds of spectators around it. " There is no shortage of young talent during Spoffin. "Arnhemse Meisjes (NL) for example, is a young dance company with a unique style. They move continuously between the audience. Also we present Familiar Faces and TeaTime Company, international groups with both Dutch and foreign artists, graduated from the circus academies in Rotterdam and Tilburg. Circus theater in the Netherlands is getting serious business and we want to show this trend at Spoffin. Familiar Faces was recently the only Dutch group being selected for the European project CircusNext which guides young circus artists." One of the criteria for Spoffin OFF selection is interaction with the public. The Sporthorses and the Guggenheim Box for example, has an interactive music installation in which they dance themselves and with which the audience can also play and experiment. The Third Hand Group from Slovenia brings a playground full of cabinets, music, weird objects and other curious-making stuff, to make the audience take a look at themselves. "The number of registrations is more or less stable, usually between 230 and 250. In order to improve quality we have tightened the rules, which resulted in slightly fewer registrations (220), but more special productions. We are pleased with this result,” Konijnenbelt says. He made the selection for Spoffin OFF in close consultation with four people who earned their spurs in the street and outdoor theater: artist Merel Voorsluis (Compagnie Mobilette) and programmers Mirte Droogers (Amersfoorts Theater Terras), Adriaan Bruin (Festival Reuring) and Casper de Vries (La Strada in Bremen and De Tuin der Lusten). Registrations this year came from Argentina, Australia, Belgium, Brazil, Bulgaria, Germany, Great Britain, Finland, Ireland, Italy, Israel, Japan, France, Netherlands, Portugal, Russia, Slovenia, Spain, Czech Republic, Ukraine, United States, Sweden and Switzerland.